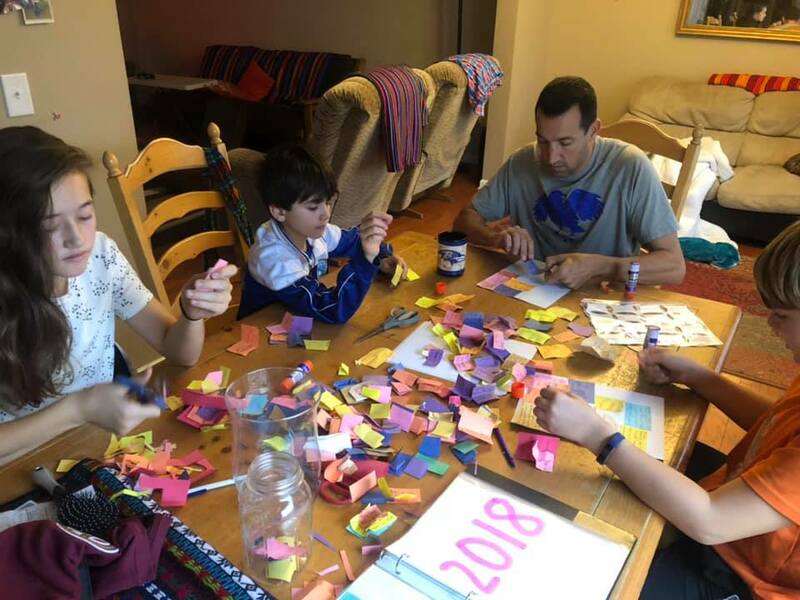 We have an Armstrong Family Tradition of dumping out our Blessings Jar from the past year, reviewing them, laughing and sharing memories of the past year and putting them in our Blessings Binder. This is done every year on New Year’s Eve. Before we start a New Year, we make an intentional effort to remember all that God has done for us this past year! We just started this the beginning of 2017. (It is never too late to start a new tradition. And it’s never too late in the year to start counting your blessings!) We simply keep a vase of paper squares in a jar with a pen on our dining room table and a large vase that fills up over the year. And whenever one of us experiences a blessing, we write it down. This isn’t only an cute idea we have, it is actually a Biblical command. This is just how our family chooses to remember what the Lord has done for us and to teach it to our children, and to create a legacy for generations later.